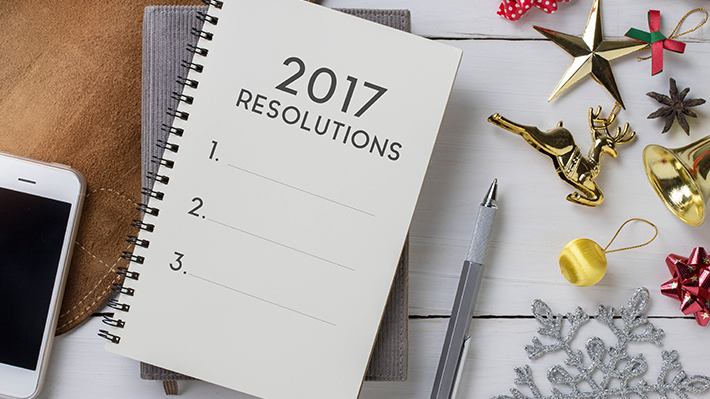 These simple action steps can make 2017 a great year for salespeople. At the start of the New Year, it’s common, even traditional, for sales professionals to start focusing on setting revenue goals. That’s natural and important. However, this year you might benefit by stopping in early January and asking yourself: What can I do to make this year’s goals more meaningful, and perhaps more attainable, than last year’s? The answer lies in the idea of focusing not just on our numerical targets and results, but on the habits and behaviors that support them. After all, it’s what we do consistently that will determine what kind of year 2017 is for us, not the sales numbers we aim for. Here are some thoughts on how you can build habits and behaviors that support sales growth in 2017. ● Accounts we want to KEEP. ● Accounts we don't have, but want to ATTAIN. ● Former clients/customers we want to RECAPTURE. ● Accounts we are selling into now where our aim is to EXPAND our wallet share. These are four very different targets, each requiring distinct behavior sets. So your first step is to categorize your entire universe of buyers by assigning each of them to one of these categories. Next, you will want to set up a yearlong behavioral plan that accommodates each of the KARE groups in a balanced way. In an account you want to Expand, for instance, conducting Quarterly Business Reviews with key decision makers is going to be an important behavioral goal. But you don't want to devote the entirety of January to these meetings! That would take you out of balance when it comes to the prospecting and referral generation behaviors that connect to the accounts you want to Attain. For more on the KARE tool, see my new book THE SANDLER RULES FOR SALES LEADERS. Create and follow a cookbook that supports your behavioral plan. A cookbook is an action plan that breaks down the specific daily, weekly, and monthly behaviors that support your sales goal. Just as a reliable recipe for a chocolate cake will always yield a chocolate cake if you follow the directions in order and use the right ingredients, your sales cookbook, when properly designed and executed, will always deliver the income you aim to generate. Creating, testing, and refining the right cookbook is a critical skill. This, too, is covered in THE SANDLER RULES FOR SALES LEADERS. Whether it’s buying a wedding ring, getting an extra week of vacation in the South of France, or attaining any other worthy aim that stokes your fires, you must constantly remind yourself of exactly what that personalized positive outcome is. Keep it at the forefront of your mind as you execute your behavioral plan. Remember that your personal goals may be very different from your assigned sales quota! The two are not necessarily identical. It’s your job to connect the dots. No one else can uncover your critical personal goals for you -- though a good coach can help you accelerate the process of figuring out what you most want from your working day. Once you know what your big “WHY” goal is, use it to drive your daily and weekly behaviors. Do that not just in January, but all year long … or until you attain the prize and set a new goal!